Calphormin contains a balanced combination of macro-minerals, trace-minerals, amino acids and the added benefit of Sodium Zeolite, a bioavailable silicon-containing compound. The foundations for a horses future success can be laid down before it is even born. Ensuring the broodmare has the correct balance of macro-minerals, trace minerals, and amino acids to pass on to her new born, Calphormin, will give the young horse the best start it can get. Continuing to feed the young, rapidly grown horse Calphormin will optimise its growth and bone development, in a correct and balanced way. Calphormin should be added to the normal feed ration. Mare in foal (months 9, 10, 11) : 120 g per day. Lactating mare : 120g per day. Yearling : 60g per day. Calphormin has undergone significant trialing in broodmares to validate the efficiency of the formula. 38 foals from 5 different stud farms were x-rayed to establish the incidence of growth related problems in their hocks and patella (right and left) and fetlocks (right and left, front and back). The subsequent pregnancy of the mares of the same foals was monitored, but on this occasion Calphormin was fed in addition to their normal diet (which remained unchanged). Consideration had also been given to the choice of stallions to ensure no genetic effect could compromise the results of the study. At a similar time of year the siblings of the second group of foals, born to the same dam, were also X-rayed according to the same protocol. The results showed a statistically significant and marked reduction in the prevalence of joint lesions (p<0.05). Nutritional imbalances have been recognised as one potential factor in the development of DOD in young, growing horses. Calphormin helps to balance the diet with nutrients known to be critical to proper skeletal development. In developing horses, the major nutrients of concern are protein, energy, calcium, phosphorus, copper, zinc and lysine. 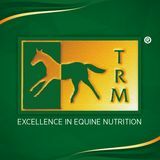 Minimum requirements in horses for each of these nutrients have been published by the National Research Council (NRC, 1989); however, in some instances the optimum intake to sustain normal growth may be significantly higher. Calphormin provides a supplemental source of all of these nutrients in a carefully balanced and palatable formulation which provides for the likely elevated requirements of these essential nutrients for optimum skeletal development, and production of sound and robust athletic horses. Crude Protein 16.3%, Crude Fibre 1.1%, Crude Oil 4.31%, Crude Ash 54.3%, Moisture 6.31%, Calcium 19%, Phosphorus 6.7%, Sodium 1.1.%.